100% new pressure transducer /pressure Sender/ Pressure Transmitter, Our material is using top of line 316 stainless steel (not 304) and high temperature auto-graded plastic. Works for oil, fuel, water or air pressure. Can be used in oil tank, gas tank, etc. Wiring connector: water sealed quick disconnect. Mating connector and wire harness (pigtail) is included. Wiring: Red for IN+. Black for GND. Green for OUT. It is an advance pressure sender than traditional mechanical pressure sender. Works for oil,fuel,diesel,gas,water,air pressure. Can be used in oil tank,gas tank,diesel tank etc. 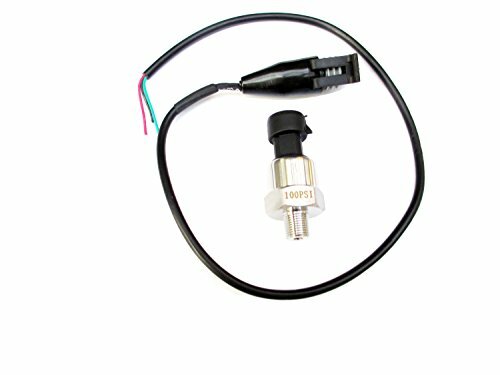 It's an advance pressure sender than traditional mechanical pressure sender; CMC for Load Cell Sensor; CMC for Pressure and Pull Pressure Sensor. If you have any questions about this product by USonline911, contact us by completing and submitting the form below. If you are looking for a specif part number, please include it with your message.